The process for this artwork began a whopping ten years before it was installed in 2010. 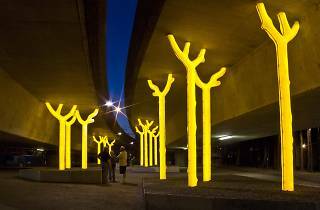 As part of a public art project called ‘Life Under the Freeway’, workshops were held with local community members to develop a brief – which was then opened for expressions of interest from artists. 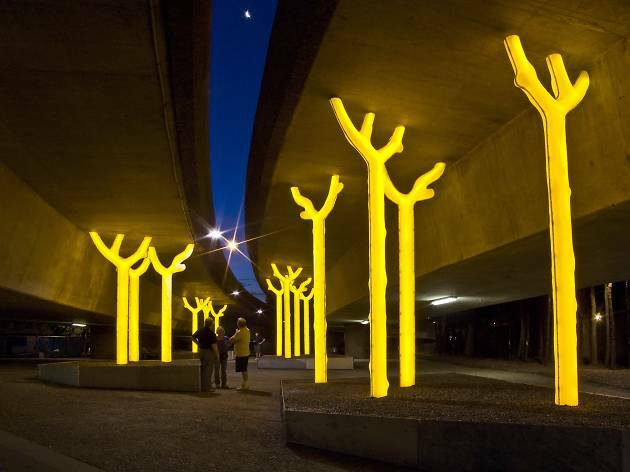 Local artist Warren Langley was chosen by members of the City’s Public Art Advisory Panel and the local community, based on an initial concept that referenced a successful community action in 1974 to preserve local housing in Fig Street (adjacent to the work), which was scheduled for demolition for the North-Western Expressway.